Welcome to the madness of the matrix of 2019! We have Brexit, a US government shut down, divided and opposing countries, global warming, plastic pollution, displacement of millions around the world, the rise of the right, Putin and Trump and much more. We are moving into the part of an economic cycle where the market begins to retract, confidence is lost, spending slows down, social unrest increases as does popularism. In fact, according to Bridgewater & Associates Founder and CEO Ray Dalio, we are now in the very same place of a long economic cycle that existed in the late 1930s. Interesting stuff! If you look at life day to day, week to week, month to month and year to year, life repeats itself over and over in cycles. We wake, sleep, eat, have certain holidays, work so many weeks a year all around the same time. The sun revolves around the earth, we experience winter, spring, summer and fall. Even our bodies have circadian rhythms that keep things in order. Long term these exist as well in childhood thru puberty to adulthood or with economic downturns every 8-10 years. The Stoic philosophers of the past like Seneca and Marcus Aurelius recommend to prepare for tough times when times are good. Why? Because they know that everything happens in cycles. That things can’t always be easy. That good comes with bad and easy with hard. That life is full of cycles, paradoxes and the coexistence of opposites. As a leader, startup founder or business owner are you prepared for the coming winter? Do you know how to future proof your organization for the coming economic downturn? 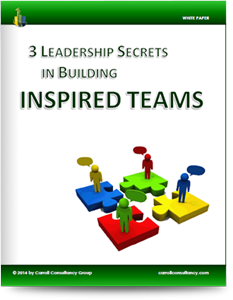 Is your business a well-oiled machine with highly engaged leaders, managers and people? If not then it’s time to prepare and set yourself up for success. Those that don’t will get eaten up by the market and competition. The strong dominate the weak, eating them like meat.